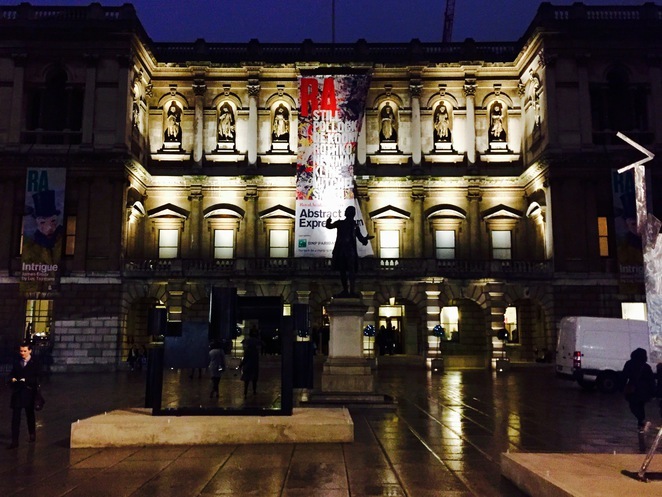 Abstract Expressionism exhibition is staying in the Royal Academy of the Arts until 2 January 2017. The show presents the biggest stars of the abstract expressionist movement of the mid-20th century, including artists like Jackson Pollock, Mark Rothko, Barnett Newman, Willem de Kooning and many others. 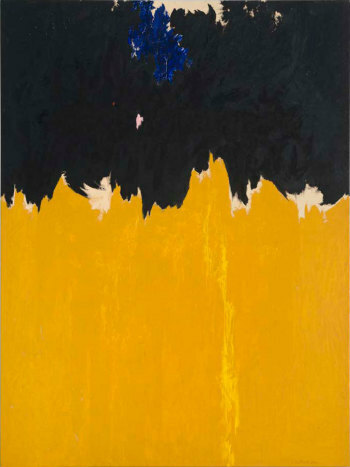 Abstract Expressionism is one of the most influential artistic movements today, which is fairly reflected in the popularity of these works in the art market. De Kooning and Rothko are among the most expensive artists nowadays: the prices of their works are estimated by tens and hundreds of millions. 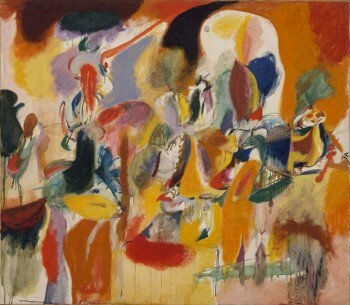 Abstract Expressionism developed in the 1940s in America and remained a specifically national artistic movement. The artists, who were are part of it, had various international origins but shared the same background of two world wars, Great Depression and the emerging threat of the Cold War. 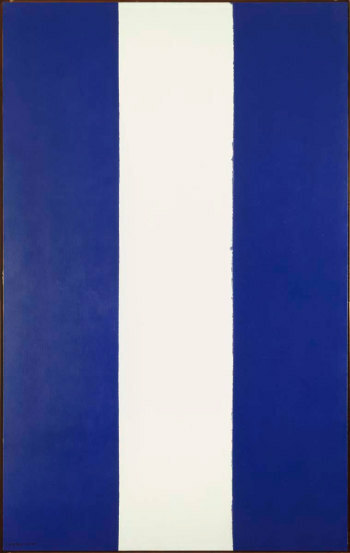 There is hardly any unifying definition of the abstract expressionism style, as it includes works as diverse as Pollock's "action painting", Rothko's large-scale canvases and De Kooning's disturbed representations of the human body and Ad Reinhardt's experiments with the darkest shades of colours. The exhibition takes about 2 hours to complete, depending on your personal speed and attention. Audio guides are available for free, offering several recordings about the history behind particular works in each room. There are altogether 12 different rooms, most which are used to show works of a single artist, and the rest being dedicated to several artists united by one theme with a poetic title, like 'Gestures of Colour' or 'The Violent Mark'. While it might not be completely fair to deliberate which works deserve more attention than others, there are still a few rooms that focus on the biggest artists of the movement. This information may be of interest to those in a hurry as well as those not familiar with abstract expressionism movement. The first of these would be the Jackson Pollock's room (3), displaying two of his major works – Mural and Blue Poles, which illustrate the scale of the artist's 'action painting' practice. This term describes a technique of painting, which Pollock used for the most part of his career – he was dripping and pouring paint and pigment on a raw canvas; some of these practices required extensive planning and calculations. He said about his work: "I want to express my feelings rather than illustrate them", thus once again confirming the ideas of abstract expressionism movement. Another must-see of the exhibition is Mark Rothko room (7), adjacent to the Pollock's one. 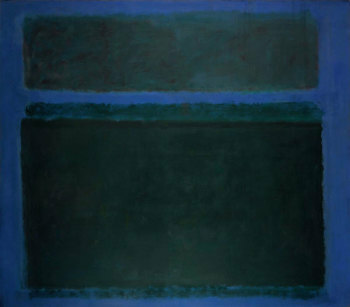 Rothko is also known for his large-scale paintings and intense use of colour. He considered colour the most important feature of modern painting and compared the 20th-century art to children's art. Rothko used aquarelle, giving his works a blurred, or even washed-out look, at the same time mesmerising the viewer in by its depth and strange emotional charge. Interestingly enough, Rothko always refused to be considered a part of the abstract expressionist wave, but this is what he is associated most commonly with. 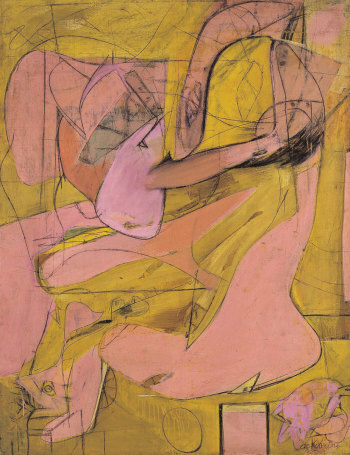 Lastly, Willem de Kooning's works dedicated to the landscapes of the human body are located in room 6. The Dutch-born artist is famous for his multiple artistic explorations of the female figure, often dedicated to an abstract figure of a 'Woman'. One of the key works of the cycle is exhibited in this room, called Pink Angels. Strangely enough, the artist's distinctive style still falls under the abstract expressionism definition, remaining one of the brightest and most famous figures in the movement. Nevertheless, there's a great range of the artists included in the exhibition. You will discover wonderful works by Arshile Gorky, Barnett Newman, Clifford Still, Ad Reinhardt, and others. 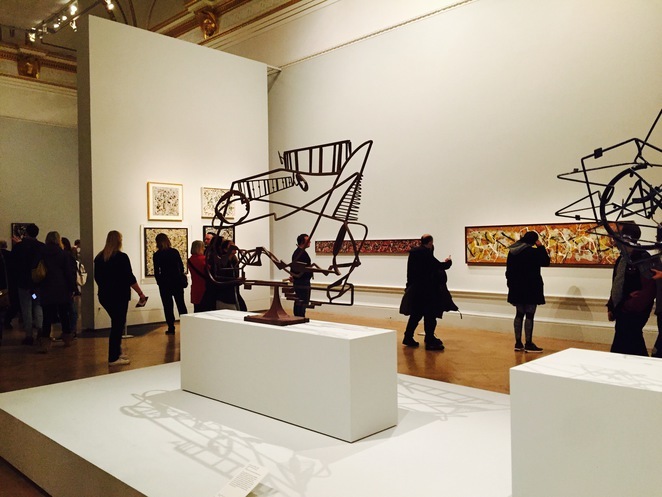 Give yourself some time to make your visit worthwhile, and discover the great works of Abstract Expressionism. Cost: 17£ (19£ with donation), concessions available.